Will you work inside the system or try to dismantle it… and will it be for the glory of Kyros, for the good of the world, or for your own ambition? Choices matter: Make world-altering decisions with far-reaching consequence: As a Fatebinder in the Overlord’s army you wield a vast amount of power in the occupied lands of the Tiers. Will you use that to inspire stability and loyalty, or will you try and offer a better way? 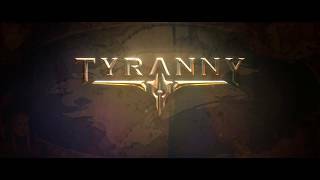 A rich original setting: Tyranny turns the archetypal RPG story on its head and allows players to explore a new take on good and evil. The player is not a random villager who rises to power, but an instrumental officer with considerable resources and authority. Use that power to enforce the new status quo, or try to make change from the inside!